So I was sitting in the kitchen this morning, minding my own business when this very pink fairy flew in through the window. She had glitter dust all over her wings, sparkles in her hair, and she had the most annoying whiny buzzy sound … So I smushed her. And she exploded. 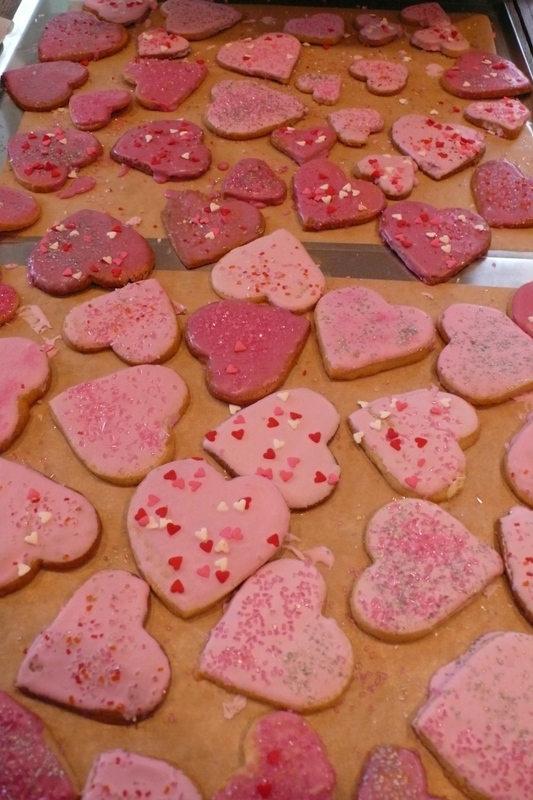 And the entire kitchen was filled with pink glazed sugar cookies, bedecked with hearts and sparkle and glitter. This is what happens, apparently, when a pink fairy explodes. Actually, I spent most of the morning baking these cookies (I tripled the recipe so I ended up with about 100 biscuits) and most of the afternoon glazing them. These are not quick work if you want to roll out the dough and then cut patterns out with a cookie cutter. 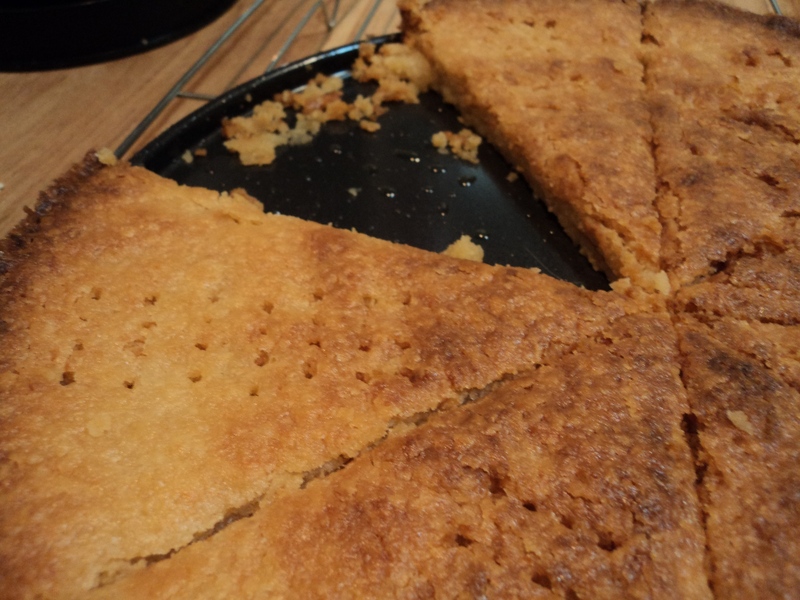 They are however quite simple if you want them for easy log slices – if you want to roll the dough into logs about 2 – 3 inches thick and then just slice rounds and bake. 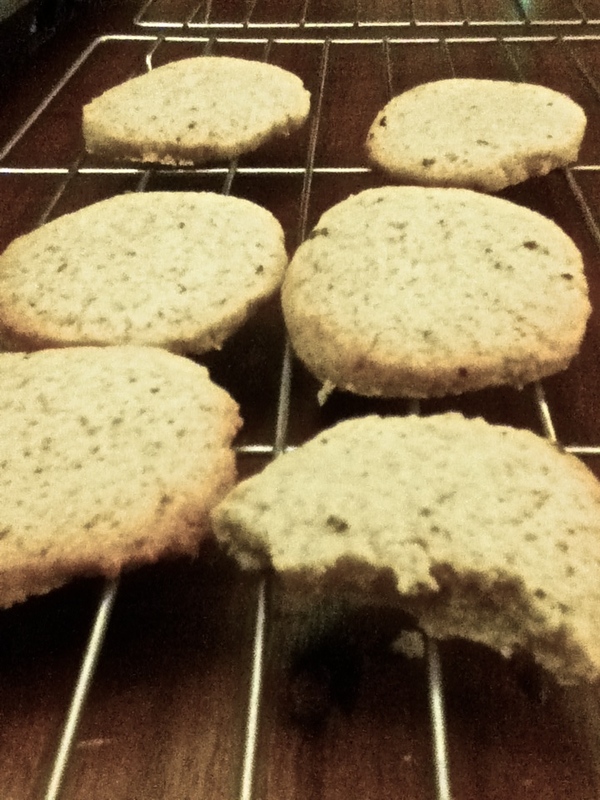 Either way, they are very very delicious – crumbly and yet sturdy, very buttery and not too sweet. I based the cookie on Cook’s Illustrated Sugar Cookie – but I used my hands rather than a stand mixer. It worked out fine. I used royal icing to glaze the cookies – a basic confectioner’s sugar and water mixture with the addition of meringue powder (basically freeze dried egg whites). The addition of the egg whites makes the glaze harden extremely well. If you have access to meringue powder, use it – there is a huge difference. You can also make royal icing with egg whites, but since they are raw, and I am making the cookies for a children’s birthday party, I decided to go with the powder. I used the India Tree dye – and as you can see from the image – it was gorgeous! Very easy to work with, very strong colour, and an almost imperceptible taste. I love this stuff, and I love that I can bake wildly colourful cakes and cookies for young people, and not worry about poisoning them with too much food dye. Decorating these cookies by hand took a lot of time and work – but they are so pretty, it was worth it! This cookie is basically much like the basis for a sweet tart shell – butter (so much butter! ), superfine sugar (which gives a more tender cookie and a finer crumb), a touch of salt, flour, vanilla and cream cheese. Thats it. You have to be quite gentle with the dough, and once it comes together, you shouldnt really handle it a lot. Its very very tender. I made the dough the night before, refrigerated it well wrapped, and baked the next morning. 16	tbsp butter (2 sticks) – at room temperature. It should be soft, but not totally giving, if you know what I mean. You want it to still hold its shape – so take it out of the fridge about half an hour before you mean to use it, and dont leave it in the heat. If you are baking immediately, preheat your oven to 170C (375F). Whizz the light brown sugar in a food processor or with your immersion blender so that the sugar becomes superfine. Its not 100% neccessary but it does make a difference in the finished product. Using your fingers, work the butter into the flour mixture. You want flakes of butter to be completely incorporated into the flour – it should look like oatmeal. Do this as quickly as possible, but also as completely as possible. When you are happy with the mixture, use your whisk to just combine everything together again. Pour over the vanilla and cream cheese, and again using your hands, quickly and evenly work these two ingredients into the mixture. You will see that they bind the flakes together and you will have an extremely soft dough. Take the dough out of the bowl, and on a clean surface, knead a couple of times, using the palm of your hand to smear the dough away from you. This will lengthen the butter flakes within the dough. Roll the dough into a ball, and divide into two. If you are making slice cookies, fashion each half into a log, and wrap well with parchment paper or plastic wrap and refrigerate for at least 20 minutes before slicing and baking. These also freeze bloody well, so you can always have a fresh baked cookie to hand! If you are making cookie cutter cookies, wrap each half in parchment paper or plastic wrap and refrigerate at least 20 minutes. Take dough out of fridge, and centre each half between two sheets of parchment paper, about the length of a jelly roll pan. Using a rolling pin and light movements, roll out the dough between the sheets, to about 1/4 – 1/8th inch thick, and refrigerate again. If you are working in an extremely hot climate, you can freeze the rolled out dough for a few minutes so it is quite stiff. Place the parchment on a flat surface, and gently peel the top layer of parchment off the dough. Use cookie cutters to cut shapes out of the dough, and gently transfer the cookies to a baking sheet lined with parchment paper. Any scraps, you can re roll and recut into cookies, but make sure you rest the re rolled dough in the fridge or freezer before cutting cookies out of it! Bake in the oven for 15 minutes, or until the edges just begin to brown (I burnt one lot, by the way, and they were DELICIOUS!). Sift the confectioner’s sugar into a medium bowl. You dont have to do this, and it usually turns out fine, but this just makes sure there are no lumps! Add the meringue powder, and stir to combine. Add 3 tbsp of water, and whisk well. You can whisk with a balloon whisk or with an electric whisk, but you really want to combine the mixture until the icing is thick, and forms gentle peaks. Add more water if you need it – I like quite a liquidy glaze – dont worry, with the addition of the meringue powder, it hardens! Add food colouring, a drop at a time, and whisk well to combine, until the royal icing is tinted to your desire. Do note that I added a drop of vanilla to the icing – it made it taste quite good, but it did change the colour from light pink to darker pink. 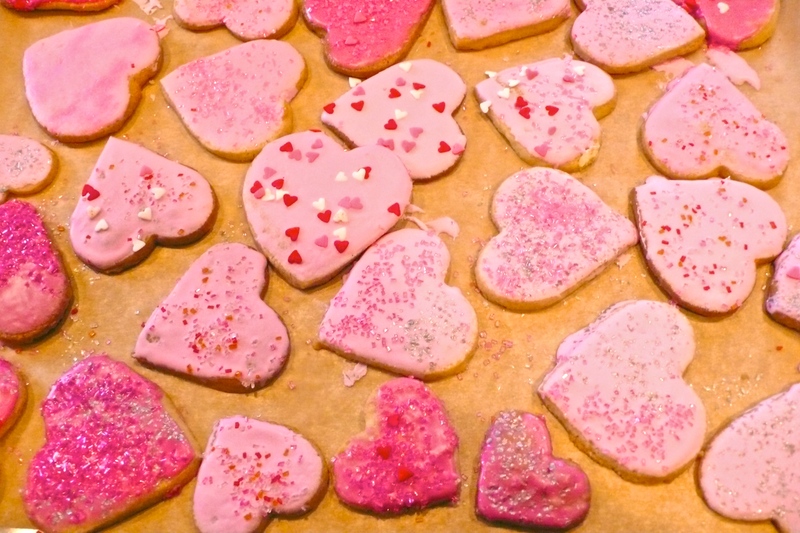 Decorations – I used sanding sugar, pink and silver glitter, sparkling sugar, and sugar hearts – optional – you might want the beautiful elegance of a glazed cookie – but I was looking for exploding fairy pink! You need to work systematically when icing these cookies. Arrange the un-iced cookies in a tray lined with parchment paper. Have next to you the royal icing in a bowl, covered with a tea cloth (to keep it liquid), a mug, half filled with warm water, a tea spoon, and whatever decorations you want to use. Ice 4 – 6 cookies at a time by taking a teaspoon of icing, and pouring it over a cookie, using the back of the spoon to smooth the icing over. 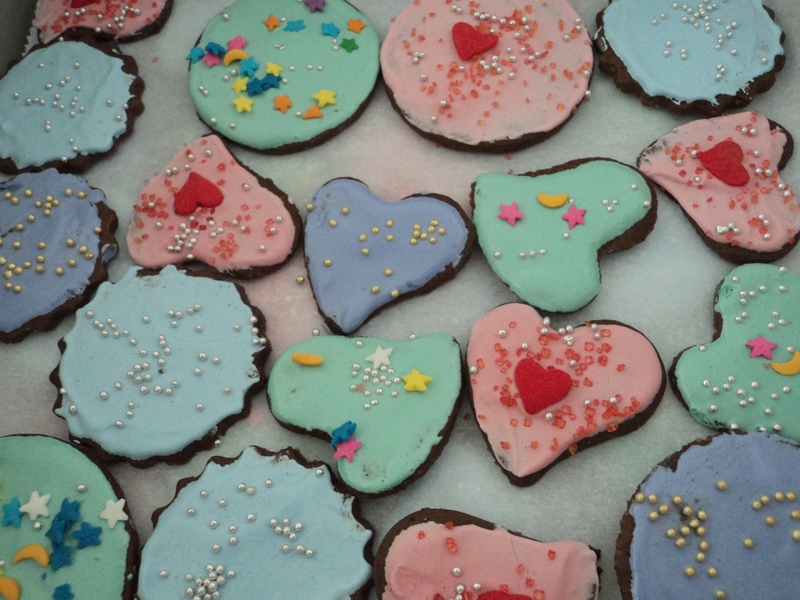 Once up to 6 cookies have been iced, decorate them with your sparkly sugary delights. Then go on to the next 6. The reason you do this is so that the icing does not harden before you can decorate it. Add more water to the royal icing if it becomes too stiff – but do this literally half a teaspoon at a time – you will be amazed how it reacts to just a few drops of water. Let the icing harden for at least 2 hours before packing the cookies into an air tight container. They can be refrigerated for up to 3 days before serving. Today was a totally vegan day. We planned it that way, but to be honest, no one ever even vaguely missed the dairy! For brunch, we went to Sticky Fingers Bakery – a Washington DC vegan institution. M and I had been talking about it for ages … when she got married, I thought of getting her a cake from Sticky Fingers, but I couldnt get my act together! Finally, we went and ate there. It was a bit of a mission to get to, but thank Goddess for GPS, she found it fine! Sticky Fingers is a really cool, relaxed place. There were families, teenagers, a young woman studying for her LSATS, guys drinking coffee and Skyping, and a man who came in and bought himself a huge sundae, and sat all by himself and ate it with great relish. As you walk in, there is a cold case with pre-made food: everything from TLT’s (tomato, lettuce and tofu bacon sandwiches) to pasta to gyros. Straight in front of you is the bakery section with cookies, cakes, brownies, cupcakes. Everything is home made, fresh and looks incredibly tempting. There is a menu on a chalkboard above the payment counter, and drinks from a cooler or you can order coffee and tea. You can choose between take out and eat in, and because we were with the baby, we sat and ate. There are a few tables (one big communal and 6 smaller tables) inside, and a few outside. I had the iced vanilla latte, and it was absolutely superb. The coffee itself was brilliant, and I couldnt tell the difference between the soy they used and regular milk. I think they used Silk, which we have tried, and its great. M suggested we have the breakfast sandwich. It came from the pre-made cooler, and it was sublime. Sooooo bloody good! Two english muffins sandwiched a tofu egg omelette (coloured with tumeric and creamy and delicious), with soy protein sausage, and a yeast vegannaise. It was one of the most delicious things I have had in a long time. M and B had seconds, and I decided to be adventurous by ordering the biscuits and gravy, with scrambled tofu and roasted potatoes. To be honest, I should have stuck with the breakfast sandwich. The biscuits were bland, the gravy was this floury white sauce that was completely tasteless, the scrambled tofu was just ok, and the roasted potatoes had no flavour to them at all. We were all quite disappointed after the delights of the sandwich. We had a busy afternoon, walking around downtown, shopping, playing… When it was time for dinner, we wanted something really light and yet satisfying. Fried rice was the perfect solution. I made it really quickly and very simply, with a few ingredients. Because we had rice, curry and rendang potatoes for dinner last night, I had left over rice – this, as any Malaysian will tell you, is the key to good fried rice – cold rice! Once rice has been cooked and refrigerated, the starches solidify over each grain. When you apply heat again, the grains of rice remain intact, firm and rice-y. If you try and fry hot just cooked rice, it will turn to mush! I used what was in the fridge for this dish, and heated up the remains of the rendang potatoes (mmmmmmm) to serve as a side dish. It was a delectable vegan dinner! You could use any manner of vegetable in this dish – peas are wonderful, as is spinach. Toasted cashew nuts would be great too. In a large, non stick frying pan, over medium high heat, saute the onions, garlic and ginger in the oil. This is the longest part of the dish – you need to get the onions past the soft stage to the slightly burnt and sticky stage. Adjust your heat accordingly so they dont over burn, but keep stirring and let them really cook down so they are soft and brown at the edges. Salt and pepper well. Pour over the soy and balsamic vinegar, and let the onion mixture cook for several minutes more. Peel and slice the mushrooms, and add them to the onions. Encourage them to burn a bit too – you want them to lose all their moisture, and cook well. 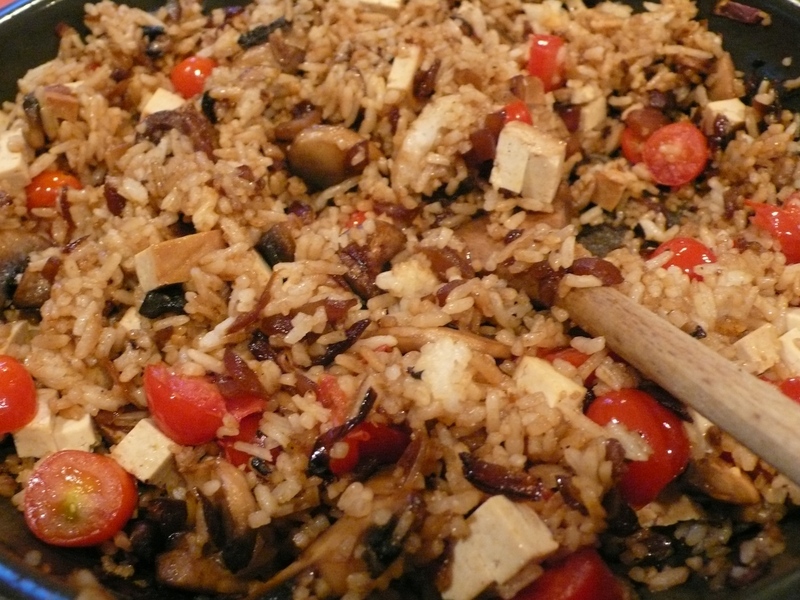 Once the mushrooms have coloured, add the rice all at once, and mix the rice into the pan ingredients. Fold over and over again, using a spatula or wooden spoon. Incorporate everything, and then taste. Pour over a bit more soy so that the rice colours a little. Taste again. Add the tomatoes and tofu, and stir to incorporate. Taste. Adjust. Add the chili sauce and taste again. Adjust to your liking, and serve hot. M and I love scraping the pan from fried rice – its where the best bits hide! I wrote in an earlier post about my late father’s love of white buttered toaste with a sprinkle of sugar. He ate it as a treat, even though he could have most any gourmet food he wished. This taught me that food is about memory as much as it is about taste… And one of my earliest memories is staying over at an Aunt’s house, one sharp sparkling autumn day, with my sister. We woke up in the morning, and she offered us cinnamon toast. We had never had it before (I think I was probably 6 to my sisters 4 years), and eagerly accepted. What a taste. What an amazing combination. White toast, crispy and warm, melting butter, crackling sugar … and cinnamon. Its a dark scent, almost woody and powdery. Hits of spiciness, sweetness, flowers. Its not a description that comes easily, but when you taste cinnamon, especially for the first time, its as if your taste buds wake up. I have always loved the scent and taste of cinnamon, and its warming fragrance brings memory of autumn, cider, Christmas. When I sat down to write about the actual taste of cinnamon, I realised this is another taste which is intricately wrapped in memory for me. So today, on the first day of the Ramadan, after an exceedingly hot, busy day, I wanted comfort. Food that is a combination of memory and laughter, and wonderful easy taste. I turned to this recipe for cinnamon sugar cookies which I think I have been making as long as I can remember cooking. 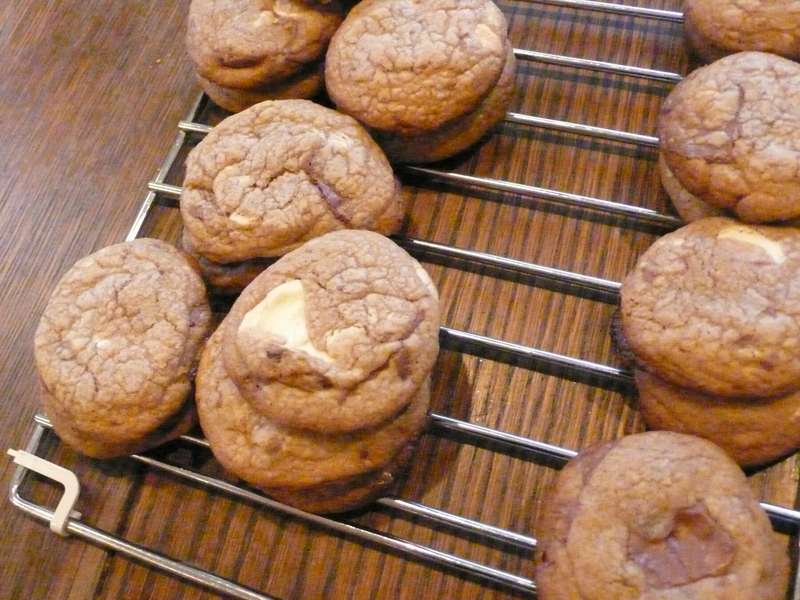 These cookies are really delicious, quick to put together, and delightful to give away. The recipe makes a very soft dough. Dont over beat it or you will get tough cookies. Just let it sit, in its creamy buttery sugary-ness, and handle with care when you dip in cinnamon sugar. Makes about 32 cookies, depending on how big or small you want them! Mix the 3 tbsp sugar and cinnamon in a little bowl, and set aside. Make sure you combine thoroughly – the sugar will be a dark brown when done. You will roll the cookie dough in this just before baking. In a stand mixer bowl, combine your three sugars. I usually beat the sugars together to ensure they are combined well. If you dont have a stand mixture, use electric beaters. Once the sugars are combined, add the butter, cut into chunks. Let your mixer beat the sugar and butter together until very well combined. This could take a few minutes. Just have some patience. Add the eggs and vanilla, and beat until completely combined. The mixture will be a little soft and fluid. Let it sit for a few minutes minutes. This gives the butter and sugars time to melt into each other. Combine flour, baking soda and salt in a separate bowl, and little by little, mix into the butter sugar mixture. I use a spoon or spatula at this point as I dont want to over mix the cookies! 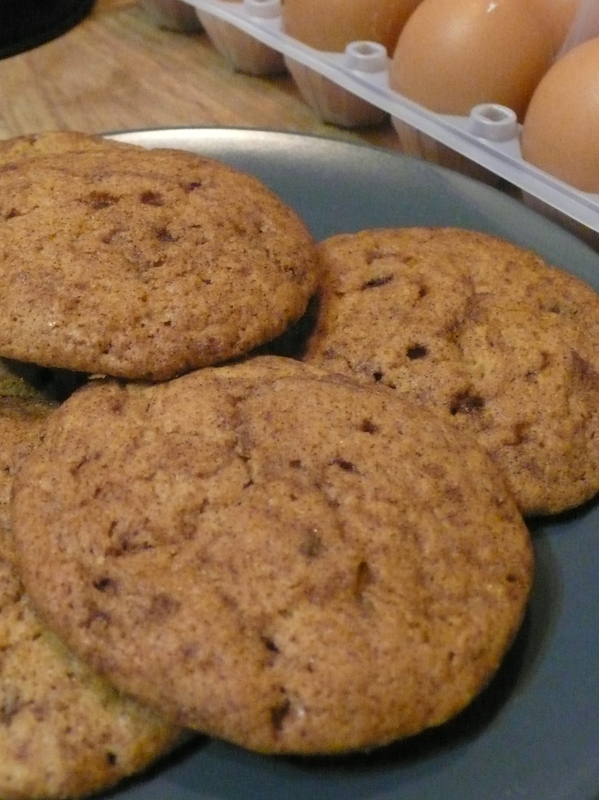 A tender cookie is one which is allowed to come together of its own accord! Again, let sit for a few minutes before moving on to the next step. Line baking trays with greaseproof paper. Using a tablespoon, measure out spoon sized pieces of dough (you can make bigger or smaller, according to your preference – this is just how I like to do it!). I usually get about 8 cookies to a sheet. Using your thumb, drop the dough straight into the sugar/cinnamon mixture, and gently roll it around to coat it completely. Place on baking tray, and pat down gently, so it is not a ball shape, but a little flatter. Bake for about 15 – 18 minutes. The cookies will rise, and then fall. They are done when they have turned a slightly darker shade of brown. Let cool in trays for at least 5 minutes before cooling completely on racks. You will have a wonderfully soft cookie with a crispy crunchy crust. Perfect balance.